The Gambling Gods are convinced CB Dollaway has no shot tonight against Lyoto Machida (pictured). 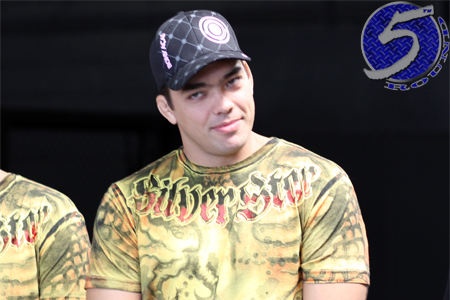 Machida started this week as a 6.5-1 odds-on favorite to beat Dollaway, and has now jumped to a 7.5-1 favorite. Jose Correa Arena in Barueri, Sao Paulo, Brazil hosts the festivities.